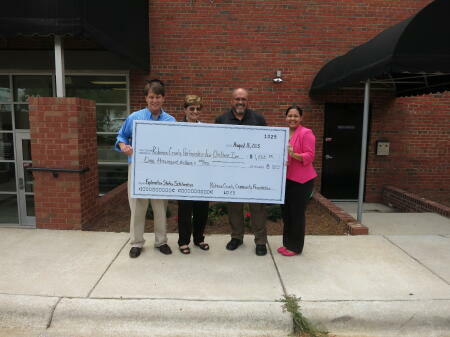 The Robeson County Community Foundation (RCCF) made a generous $1,000 donation to the Robeson County Partnership for Children, Inc. The Robeson County Partnership for Children, Inc., which operates Exploration Station, was gifted with a check on Monday, Aug. 10, during their Board of Directors Meeting. The donation will allow Exploration Station the opportunity to offer scholarship memberships to families who may not be able to afford a membership to Robeson County’s only children’s museum on their own.